Merry Christmas to everyone who reads More to life. 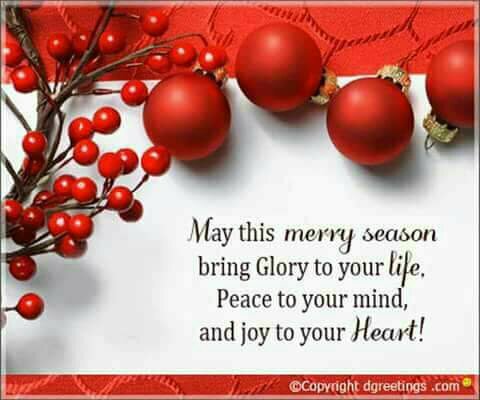 I hope we are all enjoying the holidays despite the fuel scarcity and increase in price in Nigeria? I finally came to Calabar for the carnival I have been longing for although it wasn’t easy. I promised to share my experience all the way starting from my journey. At first I checked online in hope of booking a flight from Abuja to Calabar and the figures were scary for a Corps member like me. (NYSC: currently undergoing National youth service crops) I think the lowest was around, #42,000. I decided to check my next option which was going by road. Although I hate seating in a car for a long time, in this case I had no option. I checked a transport company called “ABC transport company” and the price was #11,500. Well was still on the high side but I had no choice. I tried purchasing my ticket just to find out the bus was already fully booked .. What a disappointment. I was almost loosing hope until I decided to join my parents to Anambra state and then take another vehicle to Calabar the next day… It was still by road but I always loved family traveling. My dad did the driving, my mum had to keep him from feeling sleepy by making sure she was awake and keep a conversation going. We had foods and drinks so there was no need to stop. We all ate in the car except for my dad who can only eat banana and groundnut.. When I mean we, I meant my cousin, her friend, my brother’s friend and my friend. My other siblings decided Abuja was their place for holiday..
Getting to Enugu, we stopped for my dad to eat and we bought very nice “palm wine known as local wine”. It’s usually very sweet and rich. If you’re not from Nigeria, when ever you visit, try to have a taste of it especially those from the Eastern part of Nigeria. Aside from bad roads in few states, the increase in fuel price was another issue. In some states, fuel was sold between, #220 and #250 per liter which is just too bad.. 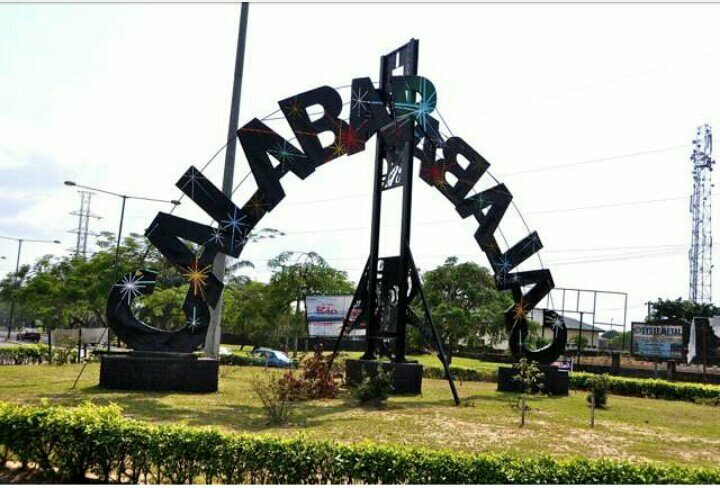 I got to Calabar on Sunday afternoon by 4.00pm having left the park around 9am…..
“Welcome to Calabar” at last i was in Calabar. It’s really been years since I was in Calabar and I had a lot in mind. Well, first thing I noticed was the long queue in a filling station.. The increase in fuel prices made transportation fare more expensive even around Calabar between short distances. The best part about my arrival was the fact I was welcomed with Garri and Afang soup (one of the local delicacy here). Yesterday been Christmas, I decided to visit the popular Christmas village located in Mariam.. Well currently am staying at a friend’s place in Etaghbor around school road two (quite and peaceful environment). On a normal day, from my location to Christmas village in Mariam cost #50 for taxi but due to fuel scarcity, drivers now charge #100. The traffic around there (Mariam road) was much that all the passengers in my vehicle had to come down and work to the Christmas village. Christmas village was filled with people. Buyers, sellers, dancers, different disc jockeys (Dj).. Different corners where you can seat and order things to eat and drink.. Well I only took a work round and left because I couldn’t get anywhere to seat and it was too crowded and the smoke from different Suya points was disturbing me.. But for anyone who can endure such a place, I assure you that you would enjoy Christmas village but you have to go early in other to get a nice place to seat and relax.. When I left the Christmas village, I walked to a restaurant called Crunches still around Mariam road and I ate coconut rice with chicken and moi moi. I enjoyed the food but the lady attending to me had a bit of attitude but I forgave her because I was in a good mood. I really can’t wait for the best part of the carnival. The bike rides and the show.. Will continue to share my experience of calabar and it’s carnival. I have made a list of places I would like visit while am here starting with Marina Resort..But I am very much open to suggestions. No matter where you are, the most important thing is you should try to be happy and make good use of each given day and opportunity. If you are in Calabar carnival, do well by letting us know. Calabar my Calabar the paradise city and a land flowing with milk and honey. Welcome to my town and do have fun through out your stay.